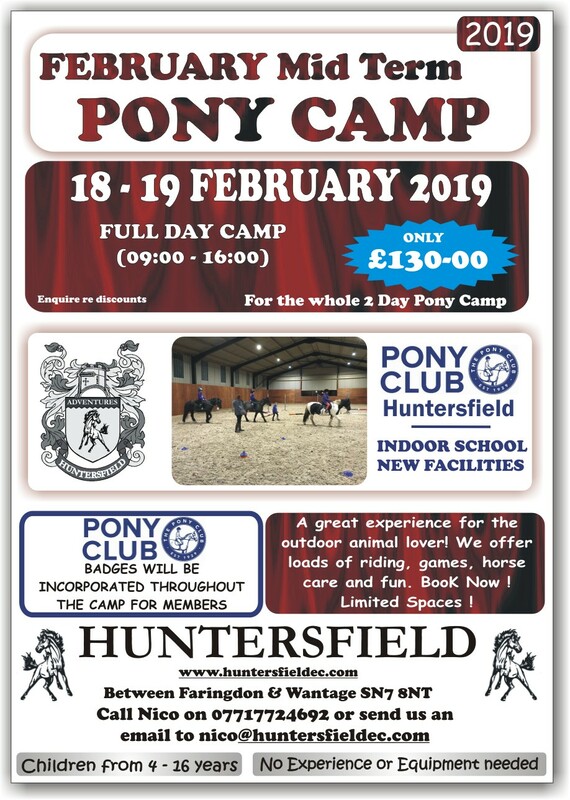 Huntersfield is hosting another sought after Pony Camp. A great experience for the outdoor animal lover. Lots of riding, games and horse care. Suitable age 4 - 16. Cost £130 for the whole two day Camp!